Do you want to go back in time and dream of technical miracles? Then let yourself be inspired by these steampunk 3D models! 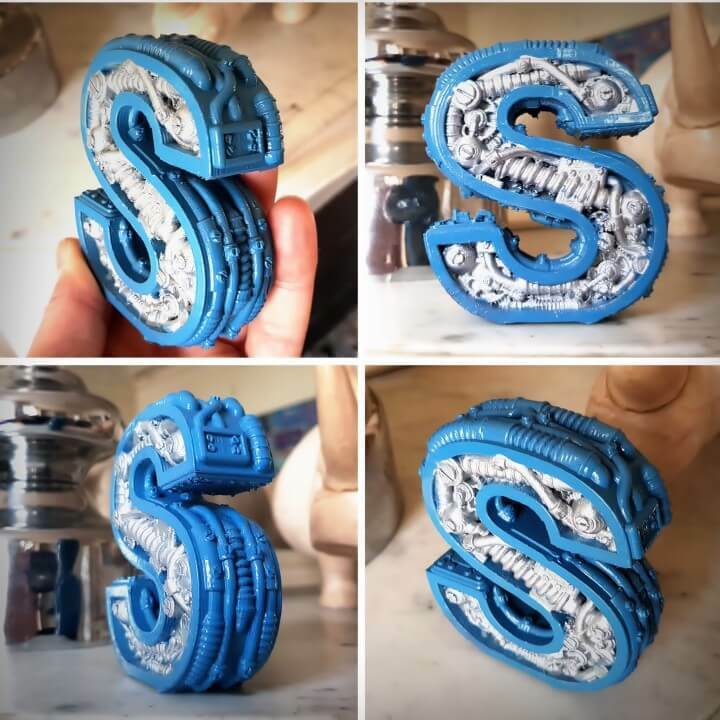 Maker “Alphonse_Marcel” offers you the whole alphabet in steampunk style for 3D printing. Here is an example of a letter. Great is also the color combination black-gold! 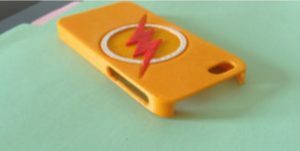 In order to emphasize the fine details, you should make the letters in high print quality. 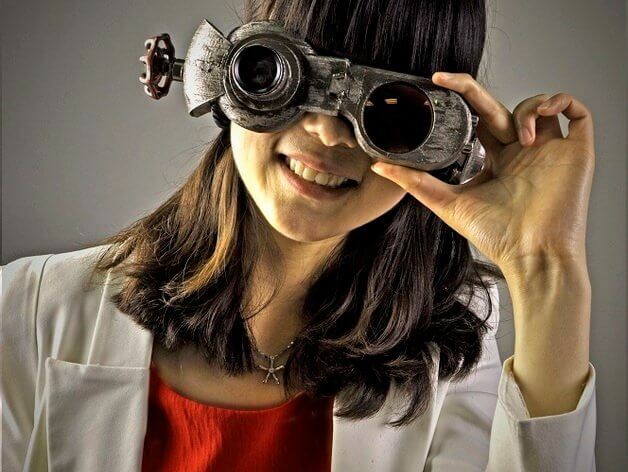 You can print six parts of these stylish steampunk goggles. For the rest you should get original parts: a valve, a zoom lens, a leather belt, a sunglasses lens and a clockwork. 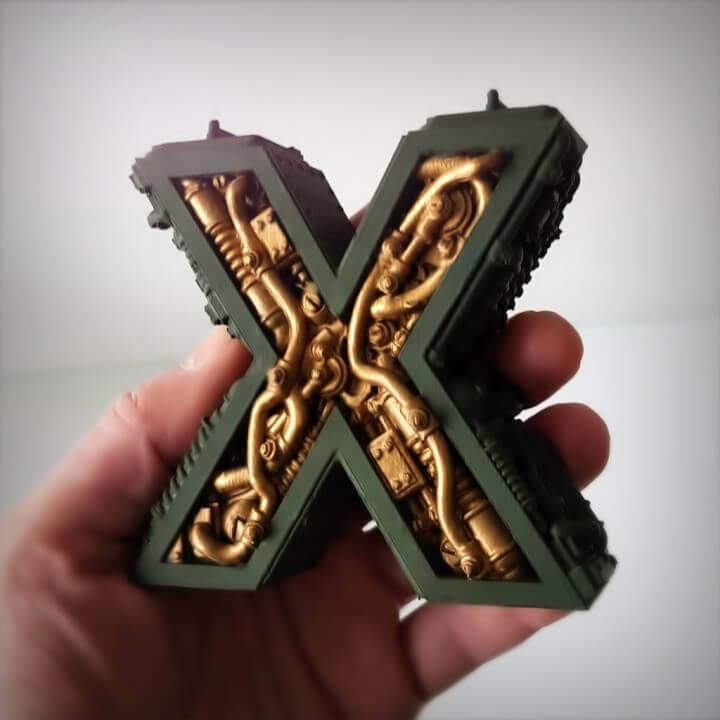 The 3D printed parts look especially cool when you spray them with gold and black paint, like maker “DFRobot” did. 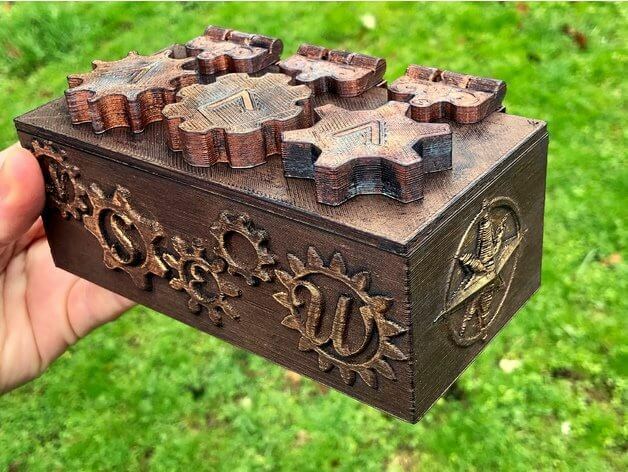 This puzzle box is a remix of “lovidovi” and can only be opened by turning the gears correctly. The trick is to follow the cardinal points, which are also printed on the box, not only as a decoration, but also as a mnemonic. 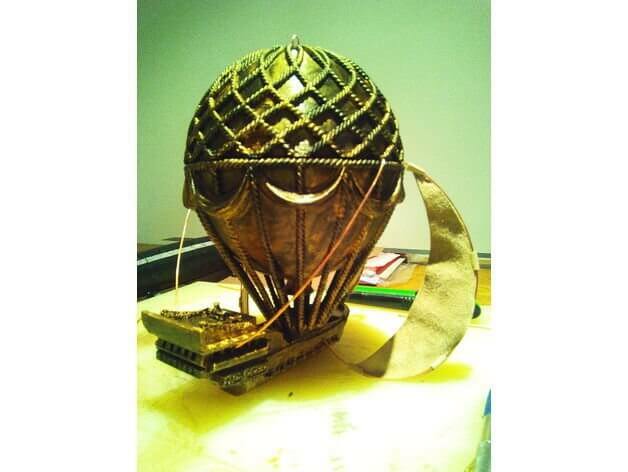 Maker “Joulec” created with his BQ Hephestos 2 from PLA an impressive symbiosis of a hot-air balloon and a ship. If you want to achieve such a great result, give the steampunk item a gold finish and attach leather sails like “Joulec”. Cool! Not everyone has such a clothes hook at their wardrobe! 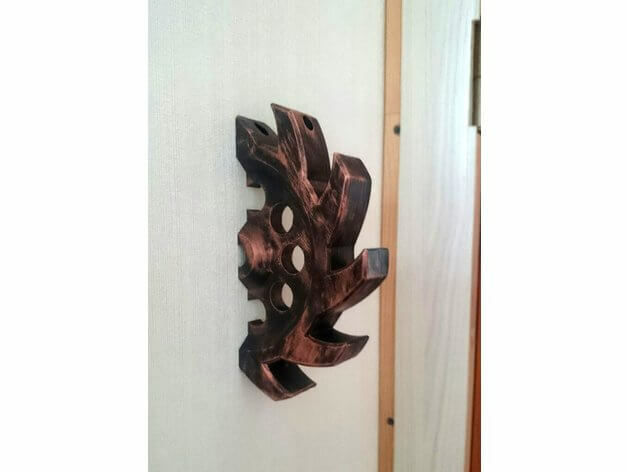 Due to the teeth of the gear wheel several things can be hung up at the same time. 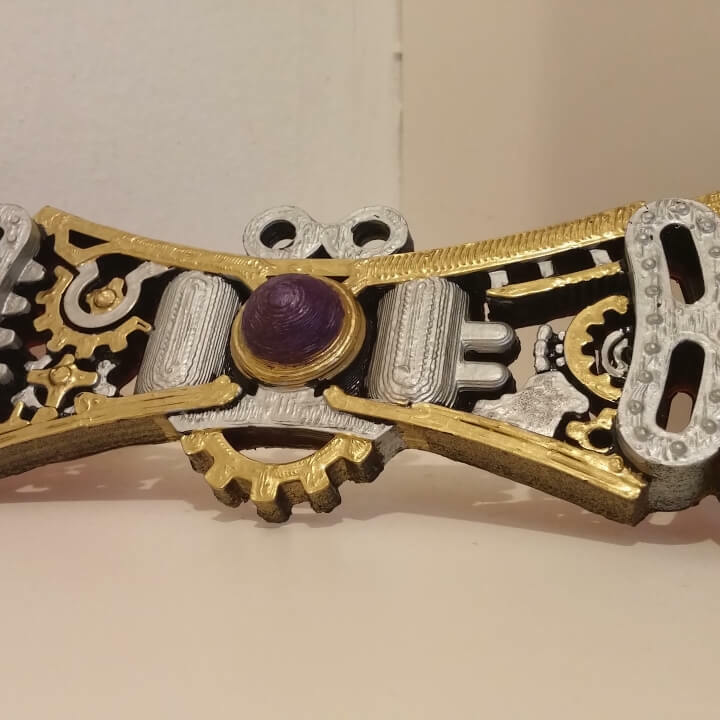 Maker “Trancewave” printed the steampunk hook with supports in a FlyingBear P902. 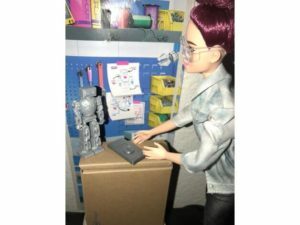 Real steampunkers not only decorate their home with retro-futuristic details, but also wear the steampunk look! 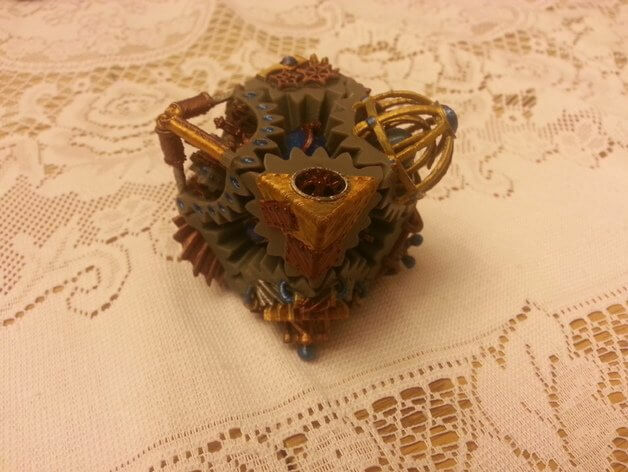 With this and another model from Maker “Terrain4Print” you can drift completely into the steampunk world! 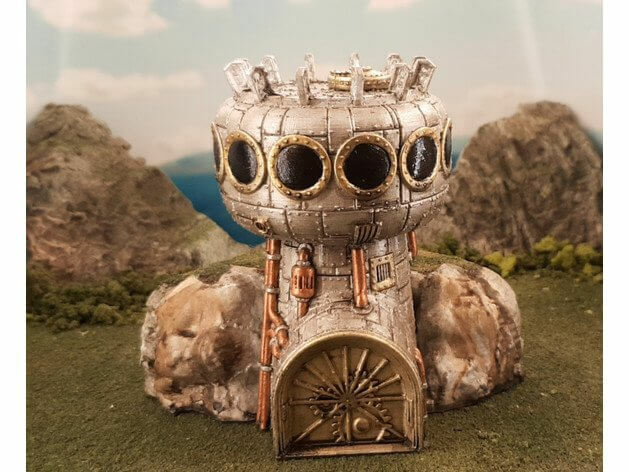 On the one hand he provides this tower with an entrance to a mountain cave, the second model is also a hill, whose cave can be entered directly via a gate. Brilliant! 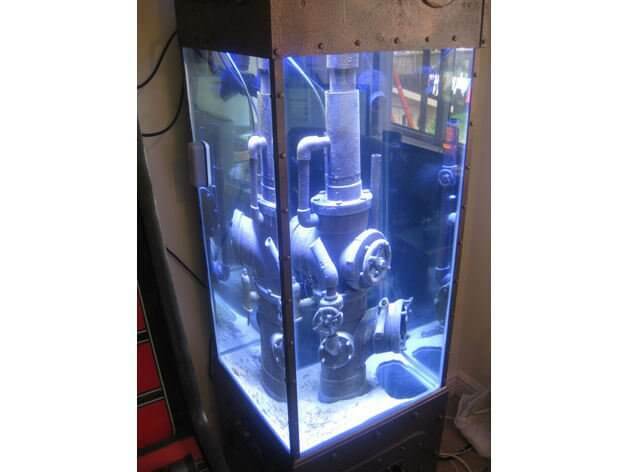 Maker “BigMrTong” is inventive and lets his fish swim around steampunk pipes! 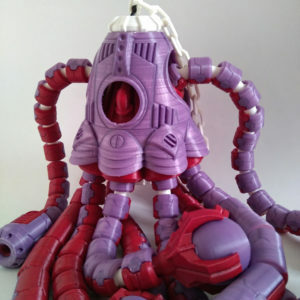 He printed the individual parts in ABS and then sanded, painted and sealed them. 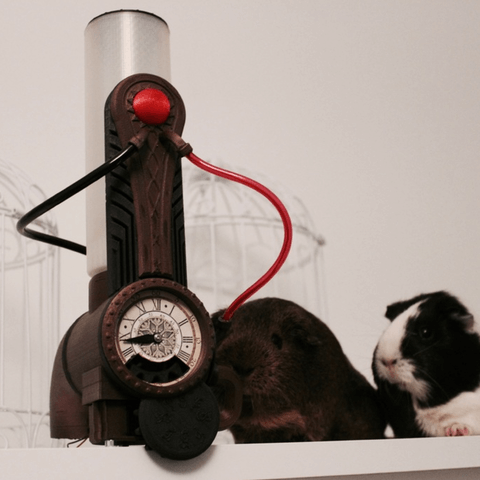 These guinea pigs also enjoy the steampunk style – although they are probably more interested in the food that comes out of it… The feeder can be attached to almost all cages with horizontal and vertical bars. With the help of software you can portion and program the feed rations. 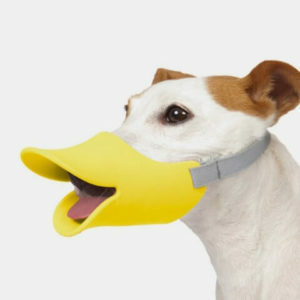 It’s best to take PLA and remember not to use toxic paints, after all, your beloved pets will come into contact with the material! 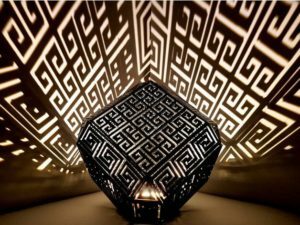 No wonder that this Rubrik’s cube interpretation already counts over 60 makes, because the design is simply unique! All eight corners including the middle piece are steampunk style. 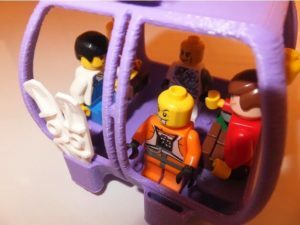 Maker “joefe” printed the cube with PLA and then gave the pieces a metallic finish and some color details.